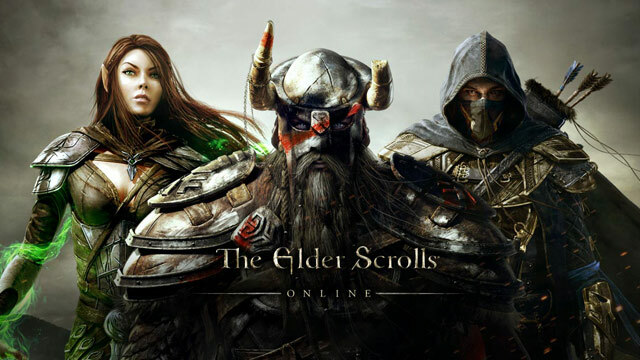 There have been few games of late that have grasped the attention of so many gamers from all kinds of gaming backgrounds like the up-coming Massively Multiplayer Online Role-Playing Game from Bethesda, The Elder Scrolls Online. This comes as no surprise - 'The Elder Scrolls V: Skyrim' was undoubtedly the most talked about game of the last two years, both pre and post release. Personally I was surprised that this, the fifth game in a Western Role-Playing Game series, could suddenly become a massive household name in an era some may feel was overcrowded with heaps of casual sports and FPS games. For a while, it felt like HP and Mana bars, dungeon looting and spell-casting were left to those of us who frequent online message boards talking about the latest mods and maxing out all our characters to level 100, while the mainstream world primarily focused on hijacking cars and taking down the Nazis in countless war games. See the cinematic trailer below! Skyrim gaining such widespread attention was something pretty special as we saw live action trailers on prime time TV and midnight queues around videogame retailers nationwide. And it looks like developers ZeniMax Online Studios have already sent shockwaves throughout the gaming world, and it's not hard to see why. Taking such a beloved and hugely popular single-player game and bringing it to the ever-growing world of online gaming, people are going to take notice. Being able to play online with your friends was one of the few additions to the features of the series that could have possibly hoped to have made the games even more fun, and we're about to finally experience exactly that. But will the end result be anything like the previous games we all know and love? Yes and no, it seems. But before you let that rustle you, that little 'no' there is not necessarily a bad thing. Expecting the same kind of game you got when you purchased Skyrim is madness for starters, as there's going to be all sorts of changes to enable the online format to work. The game will be story-driven, which is a breath of fresh air in a genre taken up by so many games that boast hundreds of hours of gameplay yet little depth. One of the earliest differences you will come across is picking your race. All the races you are familiar with are contained within the game, however which race you pick determines what you fight for and some of the actions you take. A huge war is happening during the events of The Elder Scrolls online between three different factions to decide who will rule over Cyrodiil. You are a part of this war and which race you select at the beginning of your journey dictates which alliance you join. The Daggerfall Covenant is comprised of the Bretons, Redguards and Orcs. The Ebonheart Pact who consist of the Nords, Dark Elves and Argonians. The Aldmeri Dominion showcases the Wood Elves, High Elves and Khajiit. This will lead to parties being developed within each alliance and then, one of the games most prominent features, is the huge three-sided PvP battles. The developers themselves have made a point on the official website that it will feature the largest PvP encounters ever seen in any major online RPG. Hundreds of players around the globe will team up with the rest of the faction they pledged allegiance to by choosing their race and taking on two other teams, leading up to battles of literally hundreds of players all at once. The epic nature of these battles is a far cry from other popular MMOs on the market many of which players feel that their game's player versus player combat is not explored enough. In The Elder Scrolls Online, these epic battles can help your alliance gain territories and dominate the land. Each player is boosted up to max level for these fights so that everyone has a chance to join in, however locked abilities still won't be open until they are officially gained. Features that will be familiar to players include the levelling system. Fans of the core ES titles will remember how previous games worked - you built up skills simply by using them... a lot. The more times you use a weapon, the better your character will get with said weapon, and so on. Spells also work this way, although the levelling system in its entirety won't be a complete copycat from its predecessors, as each game in the series has changed slightly from having to sleep in a bed in Oblivion to selecting paths in Zodiac style star signs in Skyrim. When you do level up in The Elder Scrolls Online, you get to choose between HP, MP and Stamina. A lot of MMOs that have gained astronomical popularity have capitalised on repetitive quests which leave no room for imagination - collecting X amount of Y potions or walking from A to B is never something you should have to do multiple times let alone pay a monthly fee simply to partake in fetch quests. The Elder Scrolls is set to complicate the formula and make more worthwhile and enjoyable tasks. You never know what you may end up doing when you agree to complete what may seem like a simple task for an NPC and this will make for a more satisfying experience over all, which does even more to make that monthly fee seem worthwhile, although the game aims to be Free-to-Play later on in it's lifetime. Personally I can't wait to run around with my Dark Elf with the rest of my friends in the Ebonheart Pact, but don't be offended if I end up coming face to face with your Orc on the battleground one day. This is indeed shaping up to be one MMO I plan to get very serious about. Bethesda Softworks and ZeniMax Online Studios also recently announced this cinematic trailer which has been gearing up potential players for a full-scale assault - against each other. I hope this game doesn't rustle me.